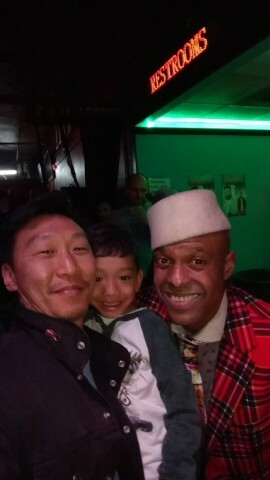 Description: Fishbone, 2017-03-18, Chim Chim Rises in Dirty Waltimore (Baltimore Soundstage) Recap of an amazing Fishbone show in Baltimore, MD (dubbed "Dirty Waltimore" during the show). Buy their music at www.fishbone.net. Angelo Moore, Norwood Fisher, Dirty Walter Kibby II, Phil Fish Fisher, John Bigham, Rocky George, Flying Jay, Hampton on keys. For more Pancake4Table, follow @pancake4table on Instagram and Twitter or www.pancakeforthetable.com. Description: Fishbone came through Baltimore on 3/18/2017 for the first time in years for their Chim Chim Rises! tour. Here's them performing their song "Beergut"
Description: Fishbone came through Baltimore on 3/18/2017 for their Chim Chim Rises! tour. Here's them performing their classic cut "Lemon Meringue"
Epic show as always from the mighty Fishbone! Brought my 6 1/2 yr old son to his first show! Much love and respect! Thanks for keeping it real for all these years! Fishbone is not scheduled to play Baltimore Soundstage anytime soon.